New Hampshire may soon see a major overhaul geared toward bringing the state’s mental health care system back to its former glory. For a system that has gone from being second in the country in 1990 as rated by the National Alliance for the Mentally Ill (NAMI), to earning a D in a revised rating system in 2006, the announcement of a 10-year mental health plan was received with bated breath by stakeholders across the state. With input from residents, professionals, and focus groups, workgroups, and public sessions, the draft plan introduced in November begins by outlining the challenges faced by New Hampshire residents with mental health needs. Access to services can be problematic, especially in rural areas and a shortage of mental health care professionals adds to the difficulties. A limited number of available beds often leads to long wait times for psychiatric hospitalization and results in extended stays in emergency departments. 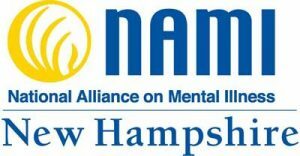 NAMI-NH paints that situation as dire with a daily average of 40 individuals in mental health crisis held in emergency departments waiting for access to inpatient care. Furthermore, the overall complex system creates its own roadblocks by making it difficult for people to locate the services that do exist. The plan, drafted by the Center for Behavioral Health Innovation at Antioch University of New England in Keene, calls for an immediate infusion of $24 million over the first two years, $10 million of which would be used to increase Medicaid reimbursement rates. The plan also recommends a regional “hub-and-spoke” system with central oversight similar to one now in place to address the state’s opioid crisis treatment. Some experts felt that the draft report is too light on details of how, exactly, the various proposed fixes will be implemented. The state hosted several public hearings in December to gather feedback. “The public hearings were excellent. There was a huge turnout and there were a number of legislators present,” said Ken Norton, LICSW, executive director at NAMI-NH. The hearings were well-attended and the state is currently pulling the input together to create a final version of the plan to be presented to lawmakers.